Well, even Psychology Today now says in their 2011 article, The Gift of Failure, "The self-esteem movement has done an entire generation a deep disservice." If I may be allowed a moment of snark...well, duh. The article recounts the movement's beginnings. An attitude of 'we're all winners' was directed toward children and played out on the soccer field, Cub Scouts, and elementary schools. 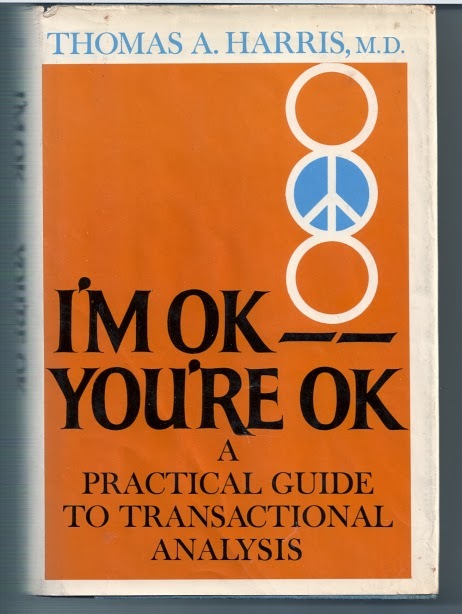 It was not constrained to just children, though, as it was perpetuated in adults by the publishing of and subsequent runaway success of the 1970s' most popularly selling book, "I'm OK, You're OK" By Dr. Thomas Harris, MD. It was the era of self-help and the above paragraph sums up nicely the feeling of the times. Harris's work extended Abraham Maslow's, a psychologist in the 1950s who published a seminal book outlining the human's hierarchy of needs. Maslow created a pyramid in which a hierarchy of needs was proposed. In Maslow's schema, once man meets his own needs, he can reach his full potential. You hear this a lot in today's self-esteem preachers: 'full potential'. That feeling of everyone being OK, needing a self-esteem boost continued into the 90s and into 2000s when Joel Osteen, king of the Self-Esteem booster sermon, began preaching. It seems Osteen's aim is to let everyone know they're OK. More than OK, a masterpiece! "See Yourself as a Masterpiece"..." all those thoughts of insecurity, inferiority and low self-esteem won't have a chance!" Now self-esteem had finally come to Christianity. We know that depraved man in the secular world has always sought ways to feel better, via mind-altering drugs, to pop psychology. There is no way to feel better apart from God. However for the Christian it's a different story. This feeling of needing to have an ego boost is a new aspect of false doctrine. Paul wrote the first chapters of Romans expounding on how depraved and lost we are. In other words, we're NOT OK.
Before we know Jesus, we are depraved, sinful, and unable to do anything worth anything that pleases God. After we are in Christ, we don't need self-esteem because we are co-heirs with Christ in heaven. On earth, we must strive to be humble, forgiving, live a quiet life, and serve others. All our esteem is Christ's, not ours, and it is He who helps us live as Christians. "any doctrine of the innate depravity of man or any maligning of his animal nature very easily leads to some extra-human interpretation of goodness, saintliness, virtue, self-sacrifice, altruism, etc. If they can't be explained from within human nature—and explained they must be—then they must be explained from outside of human nature. The worse man is, the poorer a thing he is conceived to be, the more necessary becomes a god." It's no wonder that men like Maslow and Harris knocked themselves out with trying to construct philosophies that deny man's innate depravity. It's why even preachers who call themselves Christians today like Osteen or Joyce Meyer etc cling to the self-esteem, full potential, we're all really OK mantra. Seeing that the post-WWII world became more First World and wealth was abounding, especially in America, and people were reaching the top of Maslow's pyramid and self-actualizing, evil still existed. 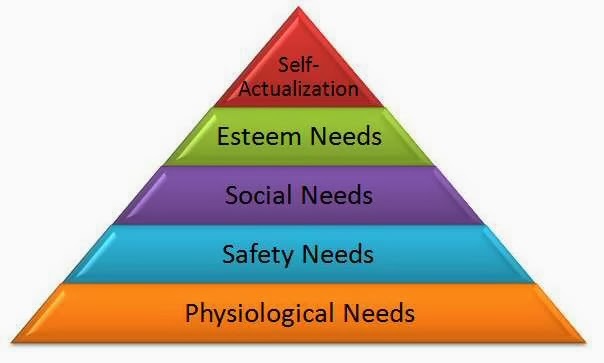 People were not OK. Later in life, Maslow was concerned with questions such as, "Why don't more people self-actualize if their basic needs are met? How can we humanistically understand the problem of evil?" He also wondered why evil existed in the majority of the people. Toward the end of his life, Maslow decided to study evil, so as 'to understand it'. What got me started thinking about self-esteem is a verse that happened to pierce me deeply. 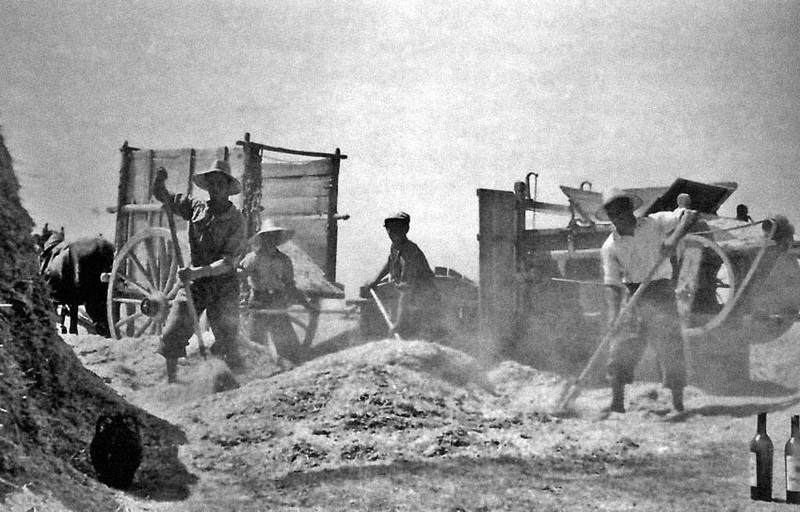 Do you know how small of a mote threshing dust is? Small. The LORD God had allowed the King of Syria to make His people into dust. And not just the Israelites, but all people are in fact from dust and will return to dust. "Behold, the nations are like a drop from a bucket, and are accounted as the dust on the scales; behold, he takes up the coastlands like fine dust." DUST. Remember our former position and remember that even in Christ, He will grind the nations down like dust eventually. He is God. We are not, no matter how much self-esteem we try to load into our mind. Our self esteem must always be tempered by the awareness of our own sinfulness, goes this good advice from a study of self-esteem from Romans 12:3 by Rev. Bruce Goettsche. And if you start thinking more highly of yourself than you ought, remember the dust. Carmen Brooks said: Remember the dust. I will. Sometimes we do have this feeling of being superior to others and look down on to others. It gives feeling of being something big but it also gives a bad attitude and sudden fall when you slip. A fall that will crush the years built self confidence you have. That is why we need to keep our feet on the ground. If there are any other parents out there reading and agreeing with this I highly recommend John Rosemond's books and articles on parenting. I think he would love this post. Melissa S.
This past weekend in a conversation with my dad, I was lamenting how western culture, especially the states, have turned Gods word into a self help guide. Its no longer "Christ and Him crucified", but rather, "how can this Christianity thing make my life better now?" Add to that the complete misapplication of old testament scriptures. And that is not just in prosperity churches, but EVERYWHERE. I am so tired of it being turned around. Give me biblical preaching, IN CONTEXT. Its about Jesus. Only Jesus! An interesting aside - I tend to vacillate between thinking too highly of myself and severely flagellating myself for being sinful, foolish, etc. I used to think the self-flagellation was spiritual, but they both have a common root - self. The only remedy is to be occupied with Christ.